The health issues regarding asbestos exposure have now been well established. When inhaled, asbestos fibres can be quite hazardous and result in life-threatening conditions. Structures suspected of containing asbestos should be professionally audited prior to any renovation or demolition to ensure any exposure risks are mitigated. If you believe that your property may contain asbestos, you may naturally have concerns about the abatement process and where the asbestos will go when it has been removed from your structure. 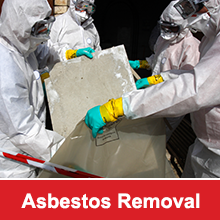 Once asbestos is removed from a property, specific regulations apply regarding the disposal of this highly dangerous material. It is absolutely imperative that asbestos be disposed of properly. The improper handling, storage, or transportation of asbestos can result in the release of asbestos fibres into the air. Regulatory requirements regarding the management and disposal of asbestos waste began in April, 2008. The disposal of asbestos waste, regardless of whether it is from a household or a workplace is controlled by the NSW Environment Protection Authority. 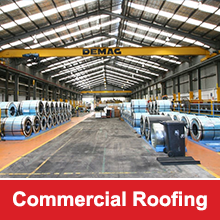 Additionally, the EPA is responsible for controlling the transportation of asbestos waste when it is handled by a commercial contractor. Landfills capable of accepting asbestos waste are categorized as commercial and domestic, householder DI, and commercial only. Property owners who have asbestos on their property are typically advised by the EPA to consult a professional remediation and removal company that possesses the proper license for asbestos removal. All asbestos waste should be double wrapped and then packaged in thick plastic and sealed. It should also be labelled and then disposed of at a Council approved site as quickly as possible. Each Council does establish its own rules regarding the receipt of asbestos waste. In transporting asbestos waste to a Council approved site, it is important to ensure that the waste is completely secured to ensure that it does not fly out or bounce around. Special care should also be taken to make certain that the plastic wrapping and/or bags will not break, thus risking the exposure of the asbestos to the air. Additionally, it is important to be aware that bonded asbestos materials must be packaged securely. All friable asbestos materials are required to be kept in a sealed container. Any soils containing asbestos contaminated materials are required to be wetted down. When a licensed waste removal company is used, the waste is collected and removed in an approved manner. A variety of different containers and tins may also be used for the disposal of asbestos waste, including skips and drums. Domestic garbage bins may not be used for the disposal of asbestos waste, as this is illegal. It is also illegal to recycle or reuse any products containing asbestos. Asbestos materials may not be disposed of at a landfill unless it has been declared legally able to receive the waste. It is important to understand that landowners may be ordered to remove any unapproved fill, including fill that contains asbestos, as well as pay the costs associated with transporting it to an approved waste facility.